I have been selling and preparing Oakland, Piedmont and Berkeley homes for sale going on 20 years. Seismic retrofit and earthquake preparedness is a topic of conversation that comes up in almost every transaction. When you’re spending lots of money to buy a home in the Oakland, Piedmont or the Berkeley area, it makes good sense to also invest in protecting your new home by earthquake retrofitting it. Building codes are constantly changing. Homes built decades ago under dated building practices may not perform as well in an earthquake as newer built homes or retrofitted structures. Some cities have incentive programs that credit a portion of the City Transfer Tax towards eligible seismic retrofitting work performed to the home. A newer statewide retrofitting program has come online recently and offers up to $3000 towards home owners voluntary retrofitting projects. See the California Brace & Bold Program details here. 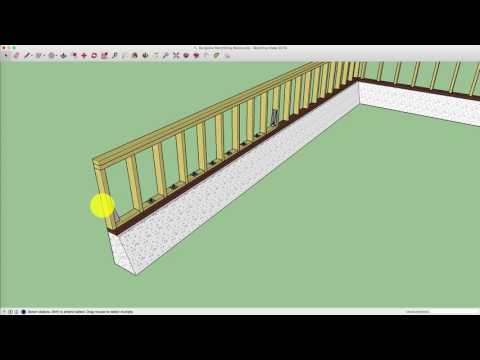 Below is a video by a local (Oakland, Piedmont, Berkeley) home inspector JMC Building Inspectors outlining the components of a seismic retrofit. You may also like to see a high resolution set of Plan Set A retrofitting specs.